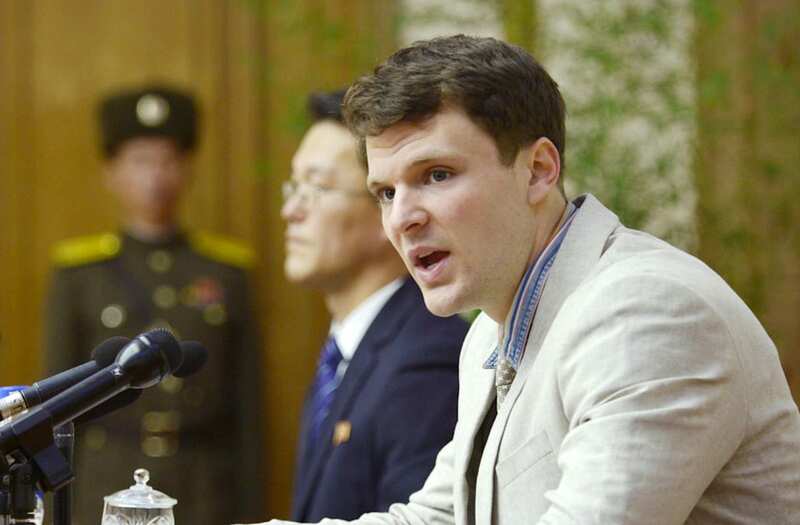 The tour group that Otto Warmbier was traveling with when he entered North Korea says it will no longer be taking Americans into the country. Young Pioneer Tours told USA Today that Otto Warmbier's death has led the company to reconsider its position "on accepting American tourists." They went on to state that the risk for Americans in North Korea is now too high and given Warmbier's death they "...will no longer be organizing tours for U.S. citizens to North Korea." Warmbier returned to the United States on June 13 in a coma, after spending over a year at a detention center. He died on Monday, June 19. Senate Armed Services Committee Chairman Sen. John McCain says Warmbier was murdered by the Kim Jung Un regime: "In the final year of his life, he lived the nightmare in which the North Korean people have been trapped for 70 years: forced labor, mass starvation, systematic cruelty, torture and murder." U.S. doctors have doubted Pyongyang's diagnosis that Warmbier suffered from a case of botulism and then went into a coma after taking a sleeping pill. They say he suffered "extreme" brain damage. The Washington Post says his death could lead Congress or the Trump Administration to restrict or ban Americans from traveling to North Korea. Otto Warmbier should never have been in jail for tearing down a stupid banner. And he most certainly should not have been murdered for it. Just learned that Otto Warmbier, the young man held captive by savage N Korea has died. Heartbroken for his parents. Prayers for the family. Very sad to learn of the passing of Otto Warmbier. As a parent, I can't imagine what his parents have had to go through. My heart goes out to the loved ones of Otto Warmbier. Thinking of Otto's family & friends, & wishing them strength during this tragic time.